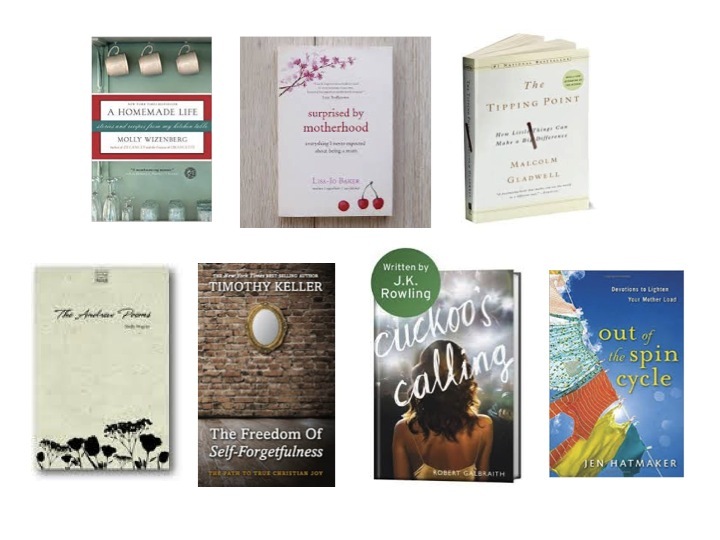 Read my detailed review of my 2015 favorites here. Read more detailed reviews from 2014 in part one, and part two. #1 Teach Us To Want by Jen Pollock Michel (2014) Desire and the life of faith – how often I’ve wanted a book that addressed this without minimizing the power of desire or God’s power to shape our desires. Enter this amazing book that is in my #1 place for 2014. She uses the Lord’s Prayer as a guide to discuss various aspects of, “longing, ambition, and the life of faith.” She does not shirk the hard, difficult parts of desire and faith, talking openly about her own struggles in her marriage and church, and her attempt to make sense of difficult tragedies in her life. She’s a brilliant writer, and I look forward to many more books from her in the future. #2 A Million Little Ways by Emily Freeman (2013) Freeman continues to be a favorite author and blogger (see last year’s list – a previous book of hers was #1 for me in 2013), and this book was no different. She invites me to see myself as God’s poem – his artwork – and a fellow artist along with him in my world, whether my “medium” is setting the table, cleaning up preschoolers’ messes, counseling, writing, etc. All of us are artists, and our art will be expressed in “a million little ways.” Her teaching shaped and inspired my series that will be ongoing of “embracing imperfection.” Her 4-week art course based on this book is amazing, too, and available for free here. #3 Simplicity Parenting by Kim John Payne (2009) Close on the heels of “Crazy Busy” is this book on the value of simplicity in parenting. I wrote more about it here in a post on “white space, children’s edition.” In our more, more, more! culture, we need to read more about the power of less. This book provides a good, do-able starting point for that journey. #4 Crazy Busy by Kevin DeYoung (2013) I picked up this book at the perfect time: in May of this year after an extremely season of being too busy. It is short, practical, and convicting. Full of zingers written not from “above” (meaning the place of “here’s my wisdom for all of you down there who struggle with overcommitment and lack of margin in your life”) – but right alongside. I found his honesty refreshing, and his insights convicting. #5 Made for More by Hannah Anderson (2014) As my September book of the month, you’ve heard me rave about this book before. 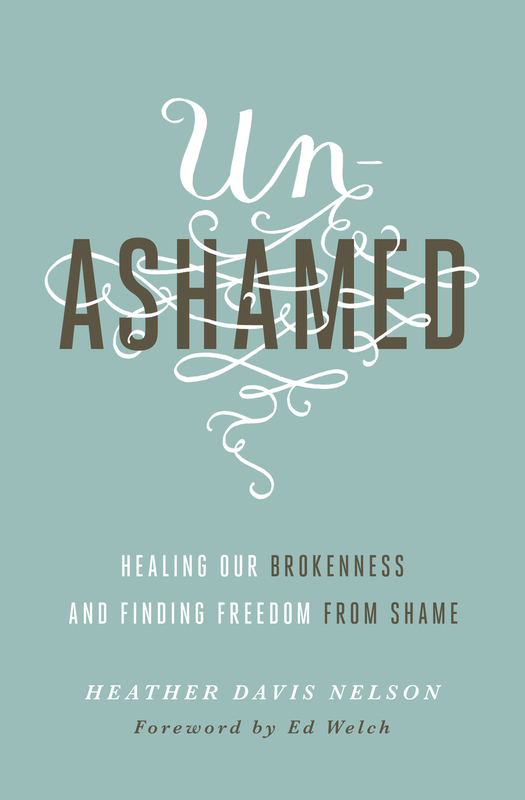 Her subtitle says it all: “an invitation to live in God’s image,” and her book delivers just that. I found on every page a call to reexamine what it means personally and relationally that we as humans are made to image God. To literally be a reflection of the divine. She takes what’s a basic theological truth and states it in new way. #6 In Our Lives First by Diane Langberg (2013) Langberg is a professional long-distance mentor for me. Her work on helping victims of abuse and trauma has been formative for me as a counselor, and I’ve had the privilege to hear her speak a few times. She is a Christian psychologist in Philadelphia, and this book is a 6-week daily devotional written for helping professionals. #7 The Gift of Therapy by Irvin Yalom (2001) This book is quite simply a gift to therapists, counselors, psychologists, and all other helping professionals. Yalom draws on his vast experience, using stories and honest sharing to pass along what he’s learned to “a new generation of therapists.” His conversational tone makes it feel like you’re talking with an old friend, or better yet, a mentor who’s been there and will guide you in your practice of caring and counseling. #8 Out of the Spin Cycle by Jen Hatmaker (2010) A 40-day devotional on motherhood and grace that I cannot highly recommend enough to all my mom friends out there. She is witty, realistic, and calls us to savor God’s merciful love for us as moms in the midst of our experience of loving (and struggling to love) our children. #9 The Cuckoo’s Calling byRobert Galbraith (2013) My husband and I are huge Harry Potter fans, and so of course we had to also try Rowling’s books written for adults. Her first, The Casual Vacancy (2012), was a huge disappointment, but I loved this one. I saw that the next one in this mystery series, The Silkworm, came out a few months ago, and it will be on my 2015 reading list. Spiritual pride is the illusion that we are competent to run our own lives, achieve our own sense of self-worth and find a purpose big enough to give us meaning without God. Yet true to Keller’s style, the conviction comes right alongside the hope of grace found in Jesus. We can’t save ourselves, and God has saved us in Jesus Christ. #11 The Andrew Poems by Shelly Wagner (1994) Shelly is a dear friend and writing mentor for me, and I have the privilege of attending church with her. This collection of poems written after the drowning death of her 5-year-old son are heart-wrenching, therapeutic, and exquisitely beautiful – all at the same time. She gave words to what I was feeling as we communally grieved two tragic deaths of a mother and daughter this summer. #13 Surprised by Motherhood by Lisa-Jo Baker (2014) She writes with beauty and refreshing honesty about her experience of motherhood and the grief of losing her own mother. It’s full of pithy truths about motherhood that you’ll underline and star and want to share on Instagram and Twitter. #14 A Homemade Life by Molly Wizenberg (2009) Reading her book of memoir/recipes made me nostalgic for family meals of childhood and newly resolved to offer similar meal-time rich memories for my family. Good writing, and recipes that made me want to get back into the kitchen (and typically I don’t enjoy cooking). Her chocolate cake recipe is amazing. Truly. 1. Grace for the Good Girl by Emily Freeman (2011) – Emily writes beautifully about the truths of grace needed even (especially) for good girls through the lens of her own story. 2. What It Is Is Beautiful by Sarah Dunning Park (2013) – I received an autographed copy from the author of these beautiful poems about motherhood, and she is one of those truly filled-with-beauty women whose poetry pours forth onto the page as a balm for the soul. My soul as a mother has often needed to stop and savor and read these poems which put words to my own experience of the tender and excruciating journey of motherhood. 3. The Gifts of Imperfection by Brene Brown (2010) – Here Brene Brown offers a concise and practical summary of all of her shame/vulnerability/empathy research. She condenses it into “10 practices of Wholehearted people,” and each chapter spells this out along with suggestions to put it into practice. 4. The Happiness Project by Gretchen Rubin (2011) – Rubin reminds us that happiness is found not in the all-inclusive week at a Caribbean island, but that it awaits us around each quite ordinary corner of our own homes. Happiness is a practice and a mentality more than it is a set of ideal circumstances. 5. Carry On, Warrior by Glennon Doyle Melton (2013) – Not many books are laugh-out-loud funny, deeply insightful, and thought-provoking all at the same time. Glennon has done this beautifully in stories from her own life that are real and honest and brave, as she calls her readers to do the same. My friend-in-real-life who’s also a talented blogger, Mary, gave a favorite review of this book on her blog here. 6. Seven by Jen Hatmaker (2012) – This book talks about ways to be engaged in social justice and pursuing less – rather than the “more” I assumed I’m entitled to when I live by the American dream. Hatmaker takes readers along on her journey through seven radical experiments of “less is more” including these particularly hitting-close-to-home areas for me: clothing, waste, spending, and technology. 7. Gospel in Life by Tim Keller (2010) – Our community small group from church did this study together this fall, and it was excellent in every way – from the “homework” to do on your own each week to the DVD we watched together and discussed each week. We were challenged to see how faith in the life, death, and resurrection of Jesus Christ should make a difference in our hearts’ affections and attentions, resulting in a changed perspective in our work so that we would make noticeable, positive differences in our neighborhoods and cities. 8. Desperate by Sarah Mae and Sally Clarkson (2013) – What a great book on motherhood that balances both its reality and joy! I appreciated hearing the two stories weaved throughout of Sarah Mae who’s “in it” (with 3 young kids) and her mentor, Sally Clarkson, who’s been through motherhood (and thrived). 9. Making the Terrible Two’s Terrific by John Rosemond (1993) [note- there’s an updated version from 2013 available here. ]- The best book I’ve read on specifically parenting two-year-olds, of which we had TWO for over half of 2013. He’s down to earth and practical and keeps in balance a parent’s authority and the developmental reality of age 2. 10. Bringing Up Bebe by Pamela Druckerman (2012) – This book is an entertaining, informative, and thought-provoking read speaking a needed perspective into our American parenting culture that seems too characterized and defined by competition, comparison, and perfection (expected both of ourselves and our children). Unglued by Lysa TerKeurst – “Making wise choices in the midst of raw emotions” – the tagline says it all. Extremely practical and biblical, written with honesty and grace. Death Comes to Pemberley by P.D. James – Another novel written in the style of Jane Austen but with a twist as a murder mystery. I loved it. Gift from the Sea by Anne Morrow Lindbergh – Reflections from a famous woman as she vacationed by the sea on the various stages of a woman’s life. Unbroken by Laura Hillenbrand – Nonfiction that reads like a thrilling adventure. Your 2-Year-Old: Terrible or Tender by Louise Bates Ames – An excellent developmental classic on 2-year-olds. It helped me to realize that not everything my two-year-olds were doing was resistant. Some of it was just a feature of their particular phase of development. You’d probably also like the book: The Darcys of Pemberley: The Continuing Story of Jane Austen’s Pride and Prejudice. It was good to hear you speak at Hershey Free. Thanks for the recommendation, Jessica! It was great to have one fellow mom of twins in the audience who knew exactly what I meant by twin struggles. 🙂 I’ll add that book to my reading list.